There’s something to be said for anticipation—for keeping the fans waiting and keeping them wanting more. Still, in the fickle world of professional show biz, absence doesn’t always make the heart grow fonder. So let’s substitute another cliche: out of sight, out of mind. The moment one steps away from the spotlight, they usually just cede it to someone else. That’s especially true in the musical realm, and especially now when every week there’s a new would-be star vying for attention. Nevertheless, history is littered with the names of those who threw caution to the wind, and for whatever reason—a collision between career and personal life, changes in their musical dynamic, or simply the desire to retreat from the world—they took a long break between album releases. Here, then, are nine artists who kept us waiting, and waiting, and waiting for new music. John Lennon’s retreat from music was prompted by a desire to escape the attention and chaos that had overtaken him during his stint in the Beatles and subsequently threatened to create discord when all he wanted was a little domesticity. Following his so-called “Lost Weekend” spent carousing in L.A. with mistress May Pang, he returned home to New York to be with his wife Yoko Ono and witness the birth of his son Sean on October 9, 1975. His final recorded effort of the ‘70s was an album of cover tunes simply entitled Rock and Roll, and rather than promote it, he spent the rest of the decade baking bread and being a househusband. When he did return to recording with the concerted comeback Double Fantasy, the glory was sadly short lived. After he was ambushed and murdered at the entrance to his apartment building, the posthumously released “Watching the Wheels,” a song that offered an explanation for his long break, also sadly served as his requiem. Following the break-up of Credence Clearwater Revival, frontman John Fogerty recorded an eponymous album of country covers by a fictitious band called The Blue Ridge Rangers. A year later, he released the self-titled record that marked his official solo debut. Another album, tentatively titled Hoodoo, was recorded for release a year later, but it was rejected by his record label for not being up to his usual high standards. A single from the album,”You Got The Magic”/”Evil Thing,” did make its way into the marketplace, but it performed poorly. Fogerty eventually asked his label, Asylum, to destroy the master tapes. It then took 10 more years before he finally released his next album, Centerfield. Propelled by the success of its title track, he released a follow-up, Eye of the Zombie a year later in 1986, but another long layoff transpired before his next effort, Blue Moon Swamp appeared in 1997. He proved the wait was worthwhile by garnering a Grammy. Nevertheless, it took another seven year for its follow-up, Deja Vu All Over Again. Deja vu? Indeed. It’s not that Nash hasn’t been busy. In recent years he’s curated box sets for his CSN buddies and devoted himself to his print business. Nevertheless, the 14 years that passed between the release of 2002’s Songs for Survivors and 2016’s This Path Tonight gave many fans reason to believe he himself had been wasted on the way. A treatise on old age, his latest effort reflected the sound of a man dealing with life in his twilight years and reason to reconcile with all that had come before. Crosby, Stills & Nash may be no more, but none of his recent songs would feel out of place on any group effort. This lyric from “Golden Days” sums up his sentiments: “I used to be in a band, made up of my friends/ We played across the land/ When music had no end.” Those wishing for a refresher would be well advised to check out his recent compilation, Over the Years, a generous collection of greatest hits, demos and rarities. GNR was never known for being bereft of conflict, so it’s little surprise that intra-personnel squabbles and various run-ins with their record label caused a 15-year gap between the release of 1993‘s The Spaghetti Incident?, their fifth studio album, and their highly anticipated, but oft-delayed final album, Chinese Incident. Several tracks were leaked in advance and rumors of an impending offering had circulated for several years, but nothing was realized until it finally appeared in 2008. Nevertheless the fans’ wait paid off…sort of. While it hit number three on the charts, it still undersold expectations, and with an estimated $14 million in production costs and status at the time as the most expensive rock album ever made, the band and its handlers had cause for disappointment. Notably, it’s been a decade, and there’s still no follow-up for that, and while members of the band suggested a new album was due as long ago as 2012, no one is currently offering any indication of when it might actually appear. Graham Nash’s former BFF David Crosby may be the least productive part of that all-star conglomerate. Of course, every member of that trio looks like a slacker compared to their former collaborator Neil Young. Nevertheless, Crosby takes the prize for being long time gone between solo albums, having allowed nearly two decades to transpire between 1995’s It’s All Coming Back to Me Now with his last solo set Croz in 2014. Happily, he seems to be making up for lost time, thanks to the sudden flurry of activity that produced Lighthouse in 2016 and Sky Trails less than a year later. The Floyd kept their admirers waiting seven years between 1987’s A Momentary Lapse of Reason and its follow up, 1994’s The Division Bell. However, that was nothing compared to the 20 year divide between The Division Bell and their final album to date, The Endless River, in 2014. The Endless River wasn’t a new record in any true sense, but rather a series of repurposed outtakes from The Division Bell sessions which guitarist David Gilmour and drummer Nick Mason cobbled together in memory of recently departed keyboardist Rick Wright. Once again, embittered bassist Roger Waters declined to participate. Although it received lackluster reviews, it became the most pre-ordered album of all time on Amazon U.K. and went straight to number one in several countries. Hopes for a follow up were dashed when Gilmour announced that it would be the final Floyd album. With Waters still estranged and only Gilmour and Mason remaining from the essential line-up, it was a wise move. Queen had good reason to shut down their hit palace with the passing of singer Freddie Mercury in 1991. Innuendo, the band’s final album with their flamboyant frontman came out that same year, but a posthumous release, aptly titled Made In Heaven appeared three years later. Assembled from studio outtakes and the final vocals Mercury would ever sing in the studio, it produced two tracks—“Too Much Love Will Kill You” and “Heaven for Everyone”—that proved sadly prophetic. Similar sentiments marked the single “No One But You (Only the Good Die Young) that followed in 1997. That was it for Queen until they regrouped with singer Paul Rodgers and offered up The Cosmos Rocks in 2013. While the band still tour with American Idol winner Adam Lambert at the helm, there’s been no world on any forthcoming recordings with the new lineup. Former Thompson Twin Tom Bailey nearly set a new record for extended absences given the fact that his current album Science Friction—his first as a solo performer—was 25 years in the making after the Twins’ final farewell. Not that there’s any apparent change in direction as far as the music he makes is concerned; songs such as “Science Fiction,” “What Kind of World,” “Feels Like Love to Me,” and “If You Need Someone” ply the same crooning vocals and danceable rhythms that the band was known for during in their ’80s heyday. If comeback albums are meant to remind the public of former glories, Bailey can be credited with attempting a real revival. Big Star took 27 years to regroup after 1978’s Third/Sister Lovers, an absence finally broken by the release of their final studio set, In Space, which appeared in 2005. Although Posies helmsmen Jon Auer and Ken Stringfellow pitched in to keep the band going from the early ’90s on, the deaths of founding members Alex Chilton and Andy Hummel effectively meant the end of the Big Star brand. The band’s last surviving original member, Jody Stephens, has said that while he may have future projects involving Auer and Stringfellow, the likelihood of another Big Star record is absolutely nil. He did, however, bring an all-star line-up to the Paste Studio to play songs from Third/Sisters Lovers in 2017. 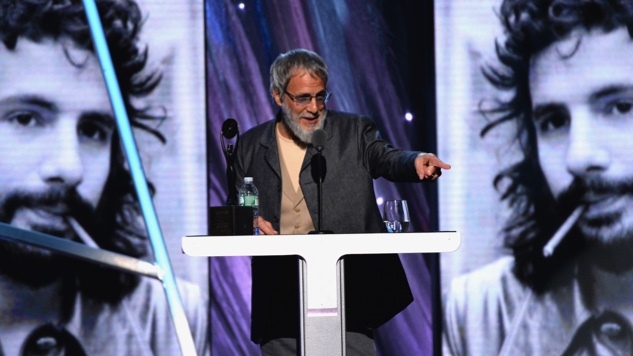 After renouncing pop stardom in the late 1970s, Cat Stevens—now Yusuf Islam—opted to return to making records with An Other Road in 2006, some 28 years after his last outing his final album as Cat Stevens, 1978’s Back to Earth. There were intermittent recordings in-between, including a children’s album that preached the pinnacles of his faith, but fans were offered little reason to believe that Cat was really back, at least in a musical sense. In recent years he’s offered a steady succession of new albums—Roadsinger (2009), Tell ’Em I’m Gone (2014) and The Laughing Apple (2017). Although Yusuf (no need for the Islam portion now, he says) still maintains his high ideals, he credited his son Muhammad with rekindling his interest in making music when the younger Islam brought a guitar home. However, for the real reason behind his absence and subsequent return, we’ll refer you to a press release he provided in 2005. “After I embraced Islam, many people told me to carry on composing and recording, but at the time I was hesitant, for fear that it might be for the wrong reasons. I felt unsure what the right course of action was. I guess it is only now, after all these years, that I’ve come to fully understand and appreciate what everyone has been asking of me. It’s as if I’ve come full circle; however, I have gathered a lot of knowledge on the subject in the meantime.” Whatever the cause, we welcome his return.